Over 5,000 sq. 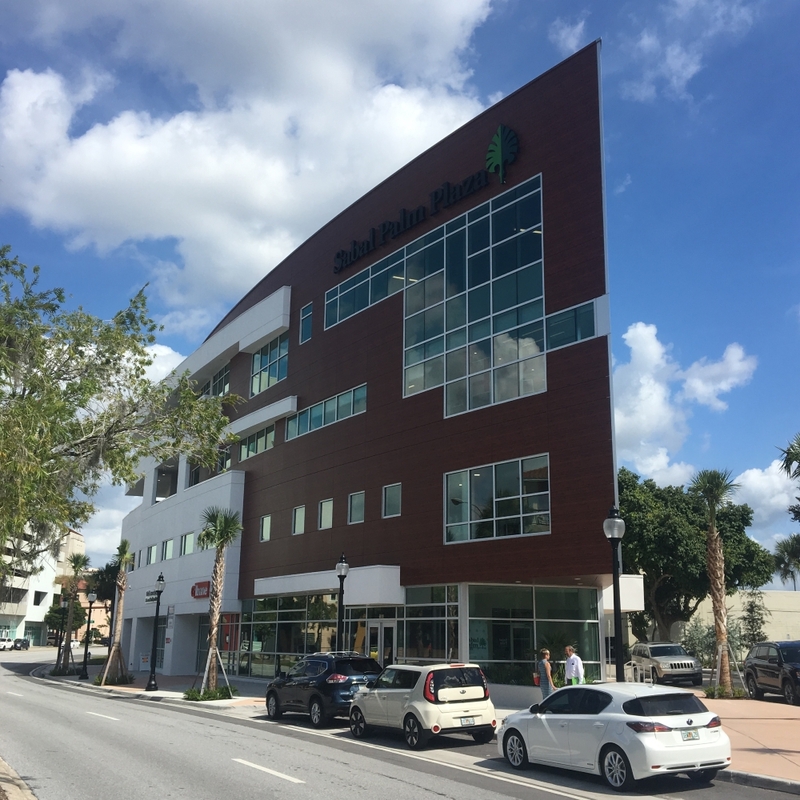 ft. of Stonewood Architectural panels were installed on Sabal Palm Plaza as part of a commercial renovation in Sarasota, FL. One of several exterior rehab projects in the area, the new building will feature inviting Stonewood woodgrains. 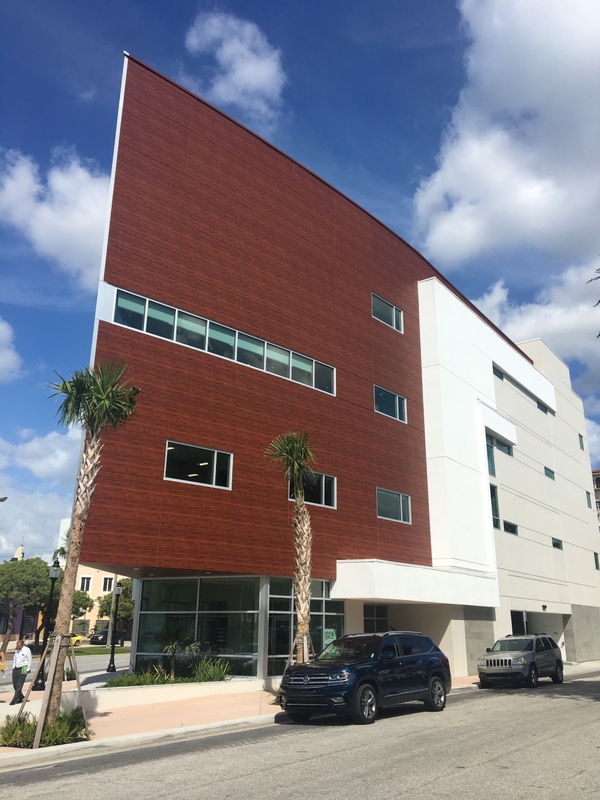 With construction taking place on the Gulf Coast, Stonewood was selected as the best material to withstand the harsh elements over multiple other cladding options. Stonewood’s color offering allowed the freedom to create the kind of high-impact design expected of a luxury commercial building in a central area of town. 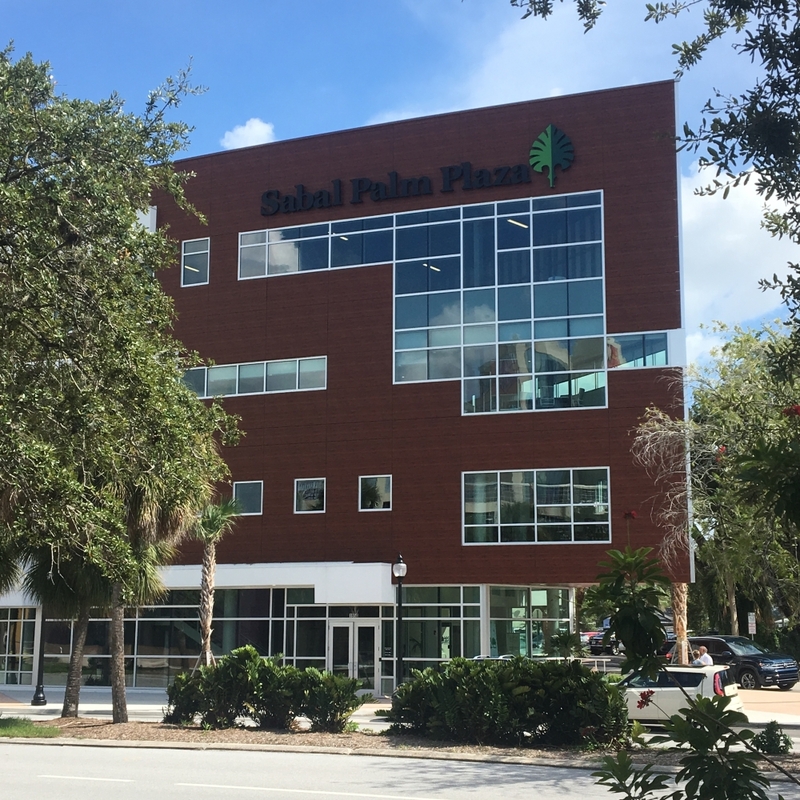 Once completed, the building will offer luxury commercial spaces along the scenic coastal area.